The breed of Caussenarde and its cross breeds of O, R, and even U classification has the advantage of having a " light rose " meat promising an incomparable flavour and a discreet and subtle taste. Destrel Company has developed into a specialist exclusively to promote this meat. 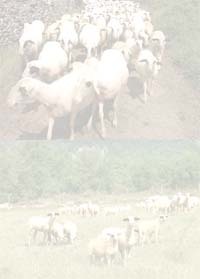 L'Agneau Fermier du Quercy (Farm Lamb of Quercy) has thus gained a solid reputation of fine taste and quality. Tasting the Agneau Fermier du Quercy confirms its high quality ! ! !